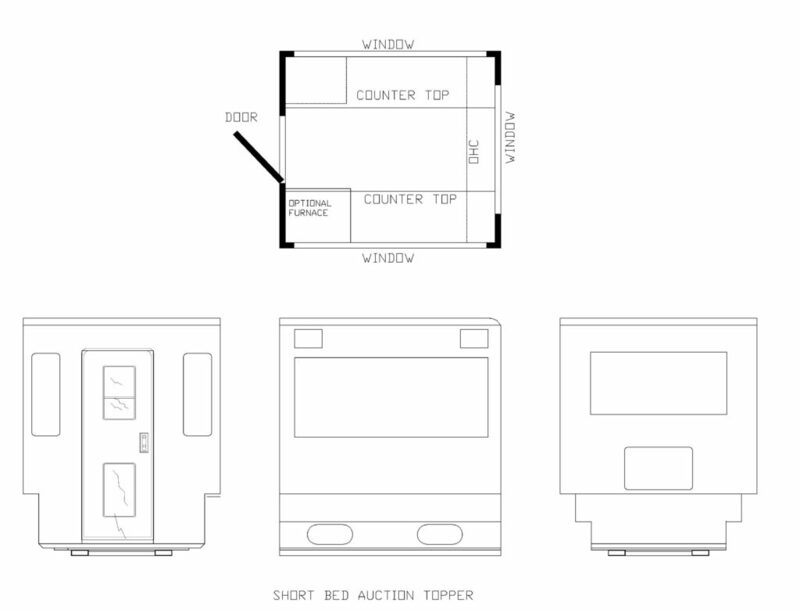 The auction truck topper floor plans options include either a short box or a long box. A long box topper is built in standard dimensions to fit on a long bed truck with an approximate length of 8′. The short box topper is built with standard dimensions to fit on a short bed truck with an approximate length of 6 1/2′. Both sized toppers include side slider windows as a standard item, but flip up windows are installed as on option. 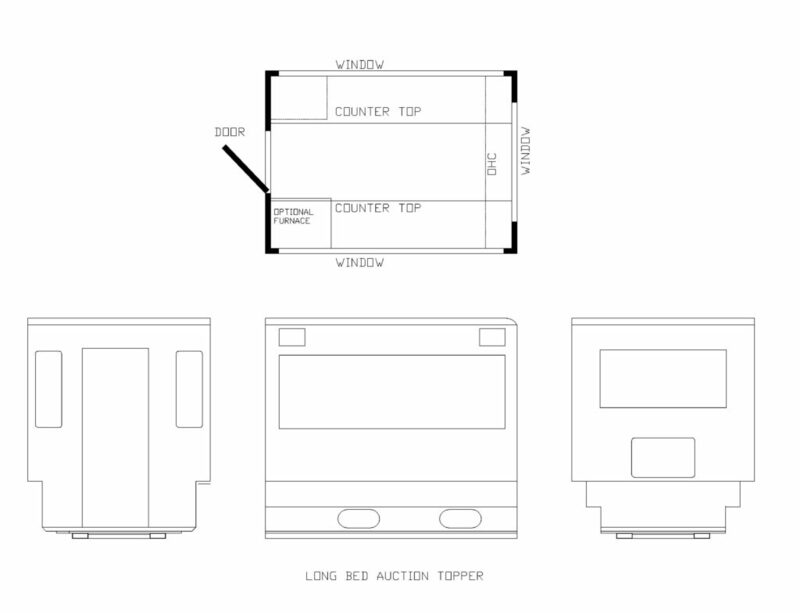 The auction truck topper with the full slide in floor will be built square to fit onto different model trucks. Most truck beds are not built square. The bed rails may be at a different height from front to rear. Also the bed width may vary from side to side. With the side of the bed wider at the rear than at the front of the bed. The topper will have a space between the stop of the truck rails and the bottom of the topper. This additional space allows for the truck auction truck topper floor plan to be loaded on to different model trucks. While not shown the cab over designed topper is offered in both lengths of auction truck toppers.